Really this can take 5 min. -Read the label for dips! Your looking for mostly natural ingredients. Less than 5g of sugar is too much. And much more than 100 cal per serving is too much. -Closely follow the portion on the label (or less). This is where dips usually go wrong...you eat way more than 1-2 tbsp. -cook pattys for dinner one night and cook extras for lunch! Just need to warm up in the microwave. 2. 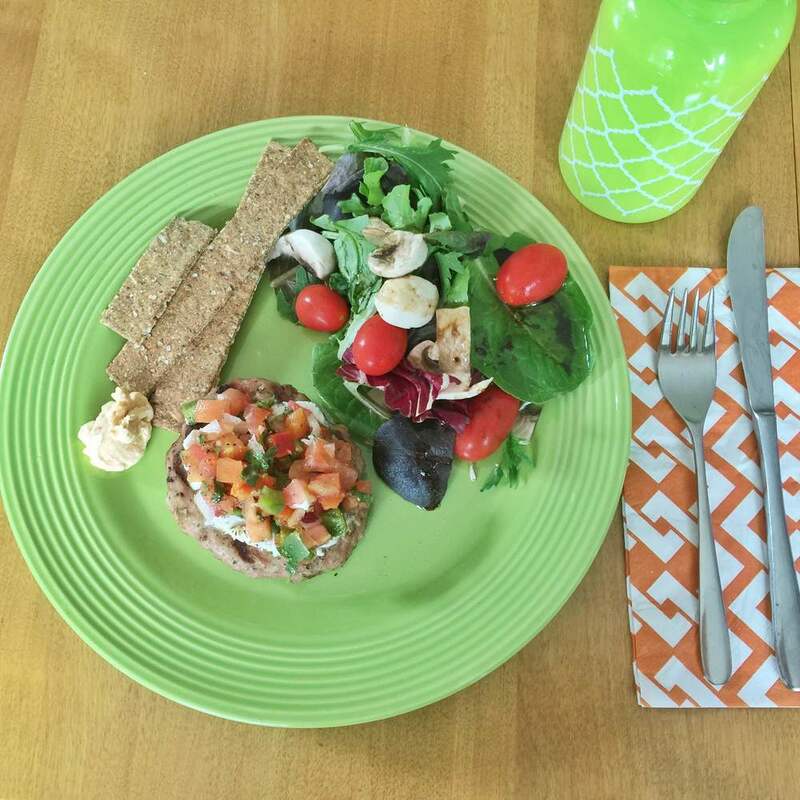 Spread 1 tbsp of herbed goat cheese on the turkey patty and spoon 1 tbsp of fresh salsa on top.